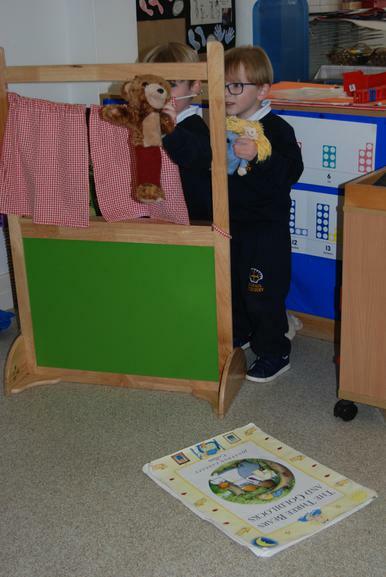 We have been reading and retelling traditional nursery stories. 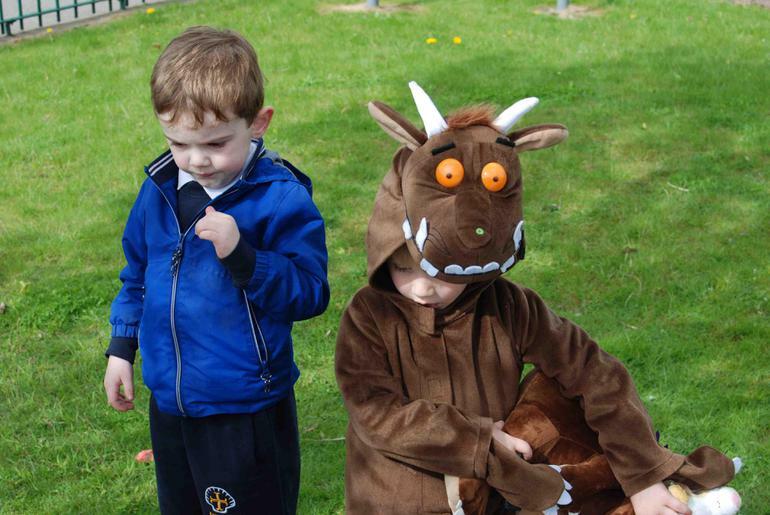 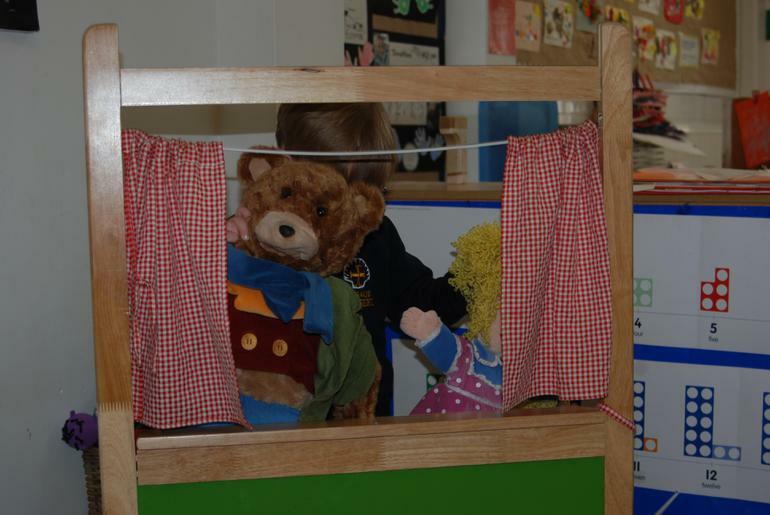 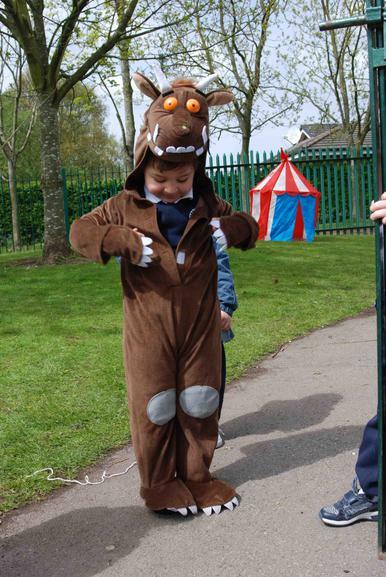 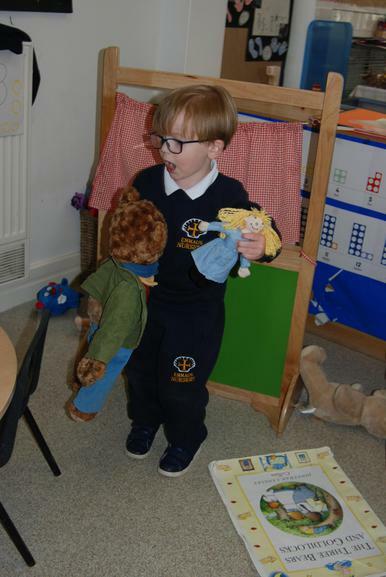 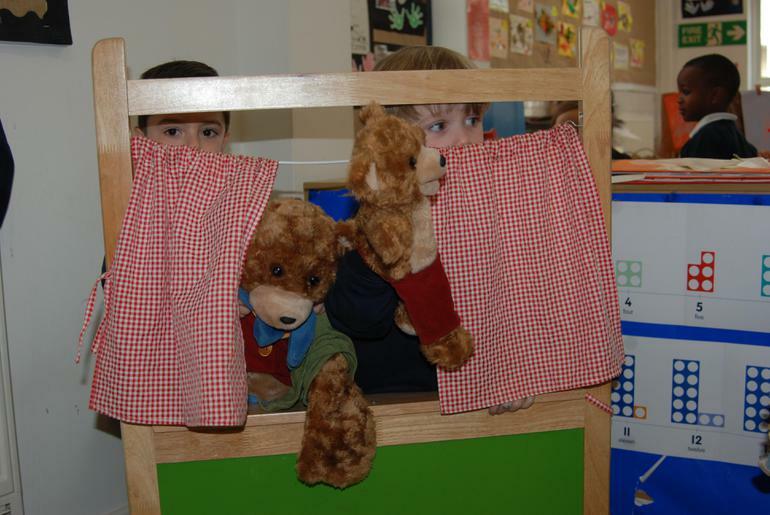 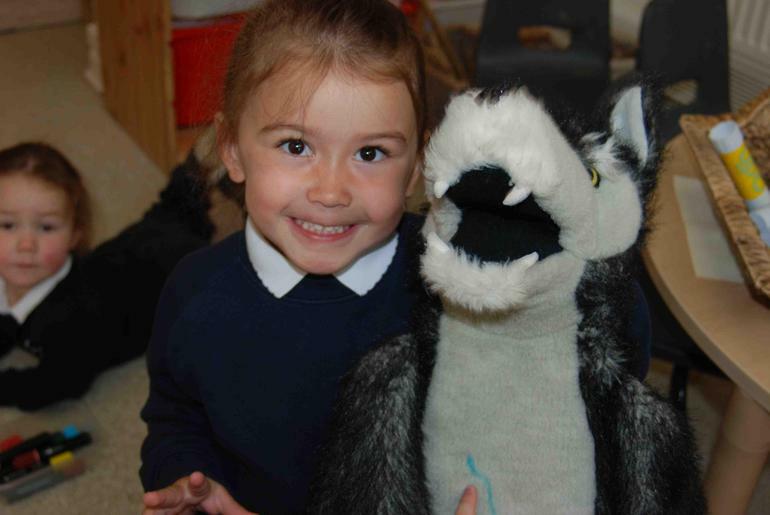 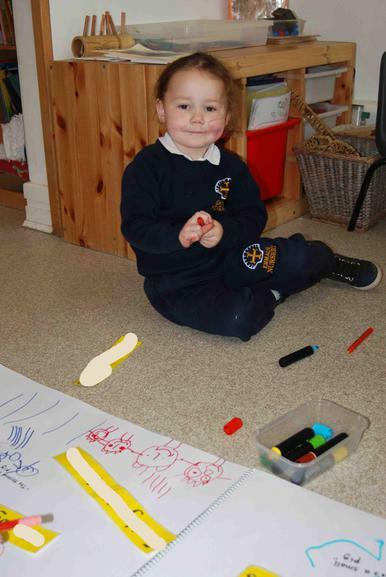 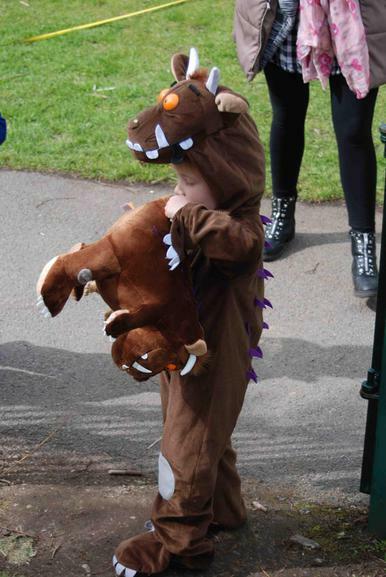 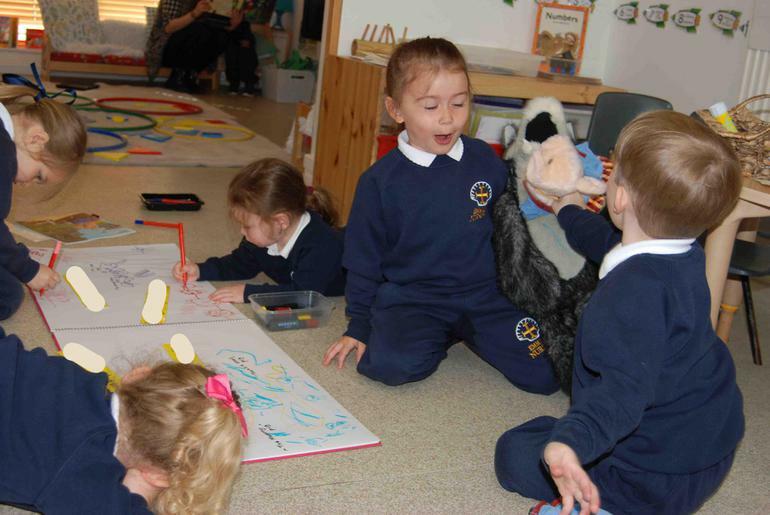 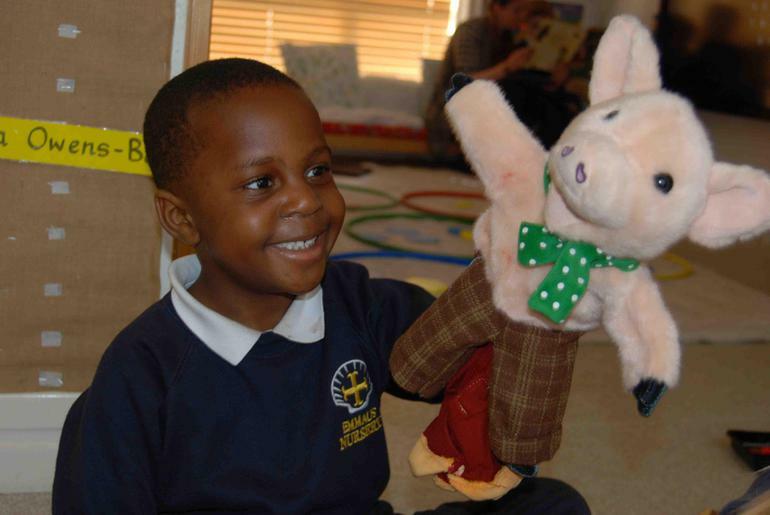 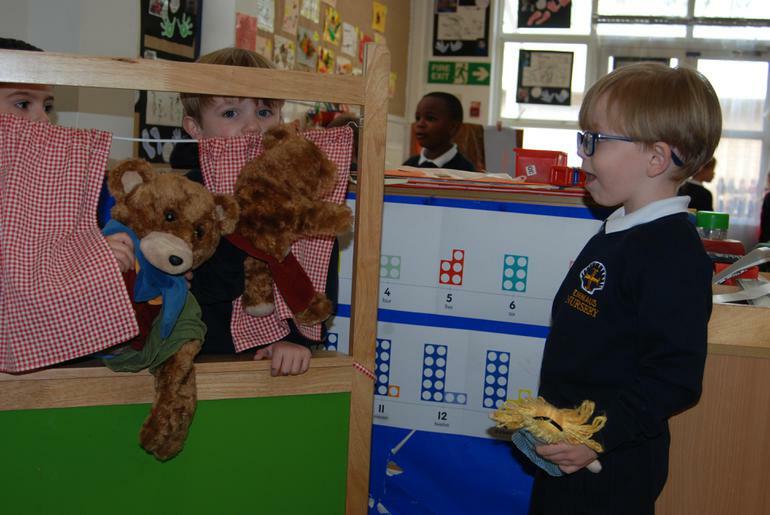 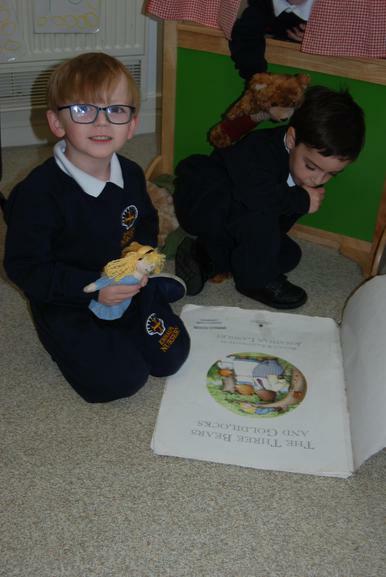 Dressing up and acting out traditional tales and modern stories with repeated refrains (like 'The Gruffalo') has been a fun way to socialise, develop imaginative play, communication and language skills as well as literacy. 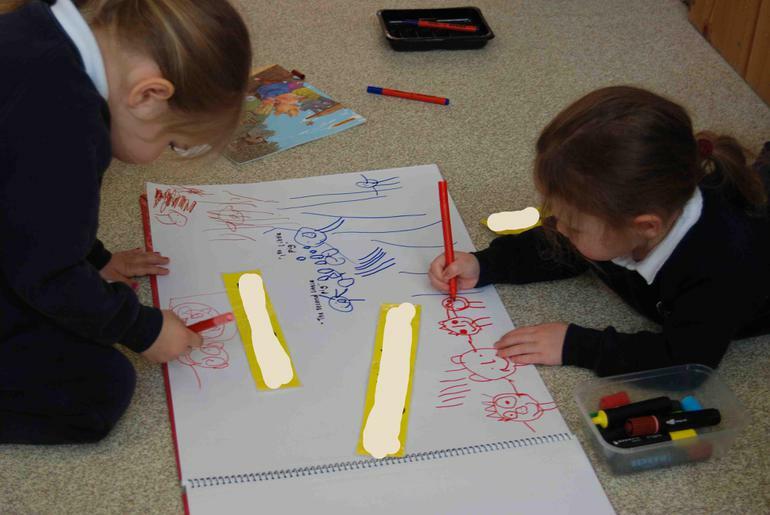 The children have written their names, drawn pictures of stories (Goldilocks, Little Red Riding Hood and The Three Little Pigs) and described the main events in the story lines. 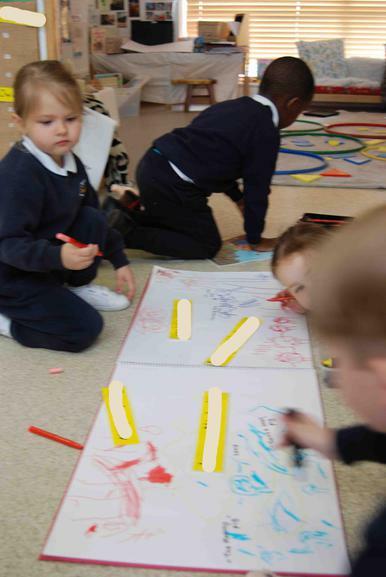 They have taken part in mark making and emergent writing in floor books. 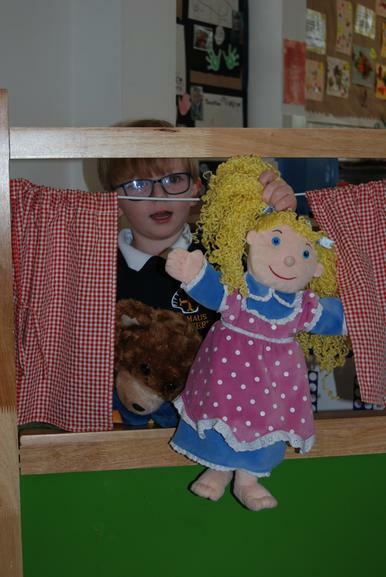 We scanned QR codes to listen to traditional tales on the IPads.